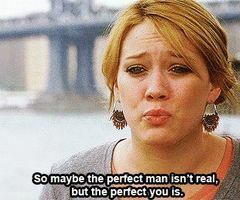 See the gallery for quotes by Hilary Duff. You can to use those 6 images of quotes as a desktop wallpapers. At first, when I got bad press and people would talk bad about my family or something like that, I would get really upset, but now it's just not worth my energy. Before I wasn't sure what I wanted to say, but now, I have had so many different experiences that they have given me what I want to get across in my music. Every week I read about myself in a magazine, about something that I haven't done or some place that I've never been or don't even know. It's just gossip, rumors, egos, and politics. I have an older sister named Haley and she wanted to be an actress. So I wanted to be an actress. It's really funny the way that some people don't give kids enough credit for like really being driven, and really wanting to do things so badly. My relationship with my mom is so amazing. We never got to have that stage that people go through, like when you're 13 and you think you're too cool for your parents. When you're embarrassed by them and stuff. We never went through that because I was constantly working and she constantly had to be there. So many schools are getting rid of music programs and it's really sad because I know that when I started singing and stuff it was something that I always wanted to do and I never believed in myself to be able to do it. When I first got my record deal, I was like, 'I just want to sing,' and I never put much thought into what really goes into a record. But as I got older, I developed a passion for writing. When I'm on tour, I'm in a new city every single night, and the energy and the crowds and the kids and the screaming and them knowing every single word of my music and being onstage is such an energetic feeling with a big payoff. It's hard to stay true to yourself and what you want in life when there are so many distractions and so much craziness going on around you. I love clothes. I can't control myself. I have a huge fetish for shoes and clothes and make-up. I'm the kind of person who doesn't like to wear things over and over again. I love men who have a lot going on in their lives, like I do. I love my mom. I totally look up to her, and she just doesn't let anybody take advantage of me. People might call that a stage mom. 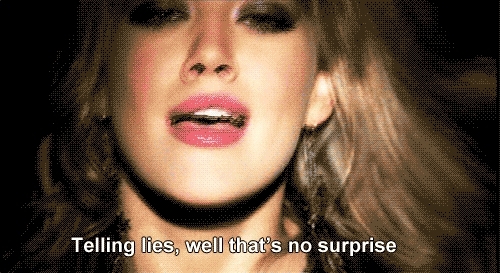 Much more quotes by Hilary Duff below the page. I pop gum. My parents get so annoyed with me. I know my dad wishes he never taught me how to do that. I started taking singing classes just two years ago. It was great. I never knew I could sing but I kind of found my voice. I think I'm happy with who I am. I don't know if I learned that from other girls or just people in general. I'm drawing the gossip surrounding the celebrity, or the image the celebrity tries to push on us. Like going to my favorite restaurant, it can sometimes get hard. I just can't go to the mall. My mom taught me not to talk about money. People talk worse about people than they talk good about people, because a lot of people like drama. There definitely was a time when I was pretty obsessed with my weight, but I'm better off not stressing about my body all the time. Weird, but sometimes I feel more like my cartoon character than I do Lizzie because she's a little more edgy and snappy. When I turned about 18 or 19, I was really ready to, like, stop being - stop being seen in this, like, perfect light. I realized there was something I didn't quite like in myself that I didn't want to hear about.